We secure protection for your trademark, logo and company name. Protect your trademark, logo, product or company name in Germany, Europe or at international level. Corporate identifiers and trademarks, in possessing recognition value, are usually crucial for a company and represent both intangible and material assets. Over time, a huge amount of time and money is invested in creating public awareness and establishing a high profile for such designations. To achieve this goal most effectively, you should protect your proprietary rights with respect to names, designs and logos against use by third parties. Lintl & Renger IP (LR-IP) advises and represents you in all matters relating to trademarks, from developing a trademark strategy to trademark registration of the trademark, ongoing monitoring of the market and registers for possible infringements and provision of effective legal protection in the event of infringements by third parties. Every year, around 70,000 trademark applications are filed and registered with the German Trade Mark and Patent Office in Germany alone. There is thus a high risk of your trademark rights being infringed by new registrations. 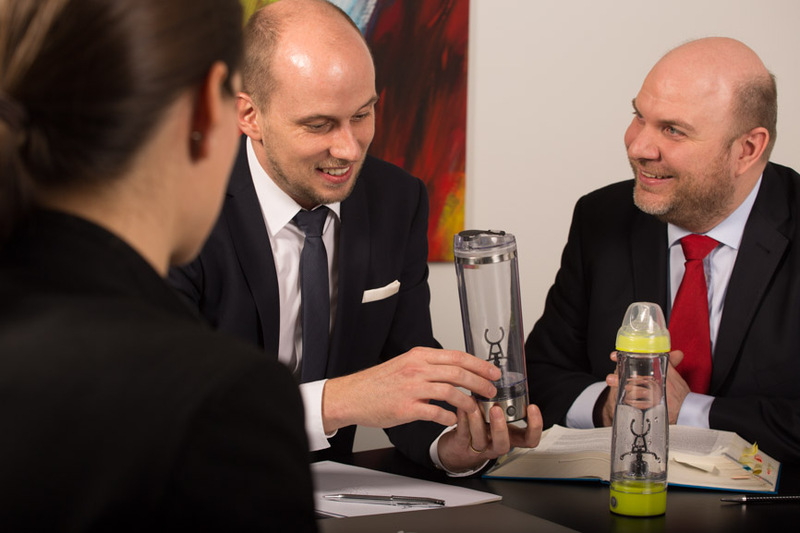 In Germany and in many other countries, the trademark offices are not obliged to check whether new trademarks conflict with earlier rights and to reject trademark applications for this reason. A swift and effective way to oppose new registrations is the possibility to institute opposition proceedings at trademark offices. The opposition period is usually 3 months from the date of registration. After the expiry of the opposition period, it is usually more difficult to have a trademark cancelled. It is therefore important to set up a trademark watch so that you can take action within the opposition period. LR-IP offers regular monitoring and inspection of all of the important trademark registers. A trademark is a protected sign used in business to identify products/ services and distinguish them from other products/ services. Your trademarkshowcases the products and services in which you have invested so much energy, know-how, time and money. Generally speaking, all words, names of people, slogans, illustrations, combinations of numbers and letters, three-dimensional designs and colours may be protected as a trademark provided these are suitable for distinguishing your own goods or services from those of your competitors. Whether this so-called distinctive character is present depends on the overall impression conveyed by the trademark. This is not the case, for instance, if the trademark describes the products/ services that are to be protected. For example, “Apple” as a trademark enjoys protection for smartphones but not for a fruit stand. What cannot be protected as a trademark? Trademark protection is not usually provided for abbreviations, factual information and national coats of arms. If the trademark describes the products/services to be registered, is misleading or is contrary to public policy, it will also not be eligible for registration. The most common types of trademark consist of two-dimensional illustrations, i.e. word marks, figurative marks and combinations of both (word/figurative mark). Word marks protect words, slogans and combinations of letters and numbers irrespective of how these are to be graphically represented when the trademark is used later. Figurative marks protect only figurative or graphical elements that contain no word elements whatsoever. Combined word/figurative marks protect depictions/logos consisting of both figurative/graphical elements and word elements. In addition, non-two-dimensional means of representation can be protected, such as 3D marks and sound marks. The type of mark you choose depends mainly on what you need to protect and how you wish to use your mark in future. Why should I have my trademark protected? Your trademark showcases you personally and your business. It enables you to be recognised and distinguishes you from your competitors. As you have invested much time, energy, know-how and money in your products/ services, your trademark is valuable capital that helps to set you apart from others, increase your recognition value and effectively protect you against free riders and imitators. You can also use the © symbol after registering your mark. Where should I have my trademark protected? You should have the trademark protected in all the countries where you operate or intend to operate. A trademark enjoys protection only in the country where it was registered. For instance, if you have had your trademark protected in Germany, you can only take action against infringements that occur in Germany. Should a French company offer the same products in France using the same trademark, there will be very little you can do with your German trademark. You would therefore require trademark protection in France or the EU for this. However, if this company also sells its products in Germany, you could at least use your trademark to oppose this in Germany. If you wish to register your trademark not only in Germany and/or the EU but also in another country such as the USA, Russia, Switzerland, India or China, your trademark can be registered relatively inexpensively via the World Intellectual Property Organization (WIPO) in the respective countries directly. Countries where you can register your trademark via the WIPO (currently 100 countries) have formed an association through what is known as the Madrid System. If trademark protection is desired in countries that are not a member of the Madrid System, applications for trademark registration must be filed in those countries. We would be pleased to advise you on international trademark registration and its subtleties. Due to our years of experience and our large network of reliable communicating lawyers at many different locations, we can provide the best possible support to you on your way to obtaining international trademark protection in the process of which you will only ever have one contact. A trademark enjoys ten years of protection from the date of registration which can be extended by another ten years as many times as desired. The costs of registering a trademark consist of the official charges and lawyer’s fees, whereby the amount depends on the scope of protection and the country of protection. The scope of protection is determined on the basis of what is referred to as the Nice Classification. The Nice Classification is an an international classification of all conceivable products and services divided into 45 different classes (e.g. class 25: clothing etc. ; class 35: retail services etc.). The name Nice Classification originated from a conference that took place in Nice in 1957 which created a system of classifying goods and services for the purpose of registering trademarks. The official charges for a German trademark registration for up to three Nice classes amounts to EUR 290, whereby each additional Nice class costs EUR 100 extra. The official charges for a European trademark registration amount to EUR 850 for the first Nice class, EUR 50 for the second Nice class and EUR 150 for each further Nice class. We would be pleased to make you an offer without obligation to inform you of the lawyer’s fees and the official charges for international trademark protection. Will I have to conduct a search? The following rule applies to trademark registration: First come, first serve. As most trademark offices do not examine whether your trademark already exists in an identical or similar form, conducting a search helps to avoid conflicts with earlier trademarks. Should you register a trademark that conflicts with an already registered trademark, there is a risk that the proprietor of the earlier trademark institutes opposition and/or cancellation proceedings against your trademark registration and lodges civil claims (e.g. a temporary injunction) for the partial or complete cancellation of your trademark which can be expensive. We would be pleased to make you a non-binding offer for conducting a professional search. Do I need a trademark watch? Trade mark offices do not usually inform TM proprietors of whether a third party has applied to register a similar trademark. To swiftly oppose applications for similar trademarks, trademarks should be monitored so that the right steps can be taken at an early stage. We would be pleased to make you a non-binding offer for a trademark watch. Our experienced trademark lawyers will advise you on the best possible trademark strategy and the registrability of your trademark. Our experienced trademark lawyers will, upon request, conduct a professional trademark search and prepare a risk analysis on your behalf. Our experienced trademark lawyers will prepare list of goods and services to cover your products and services, prepare the application documents and file the application. Our experienced trademark lawyers will monitor deadlines for you and send you renewal reminders before the corresponding expiry dates. In addition, they will set up a professional trademark watch if requested. Where would you like to register your trademark?